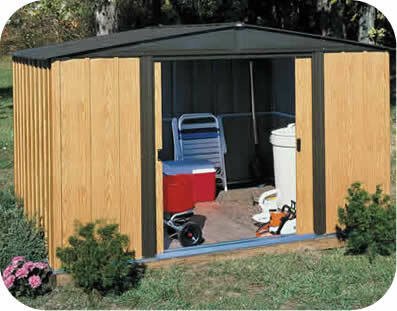 Need a small garden shed for your backyard? 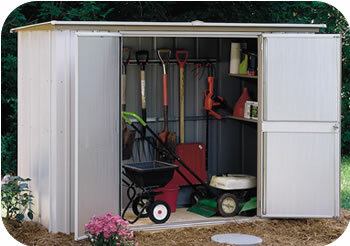 Our 8x3 steel shed kit from Arrow Sheds is a great, low costing solution to your storage needs! 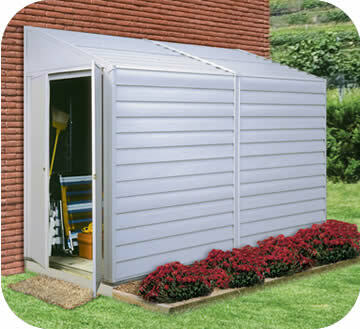 Easy to fit 8 foot by 3 foot size includes a free galvanized steel floor frame kit. Perfect for plywood wood floor finish. 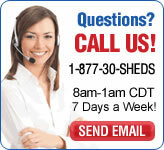 Four large shelving kits and a handy tool hanger rack also included! 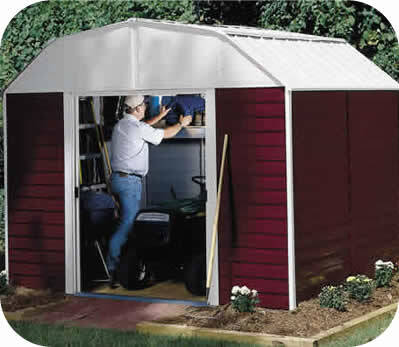 Swing open core backed storage shed doors. 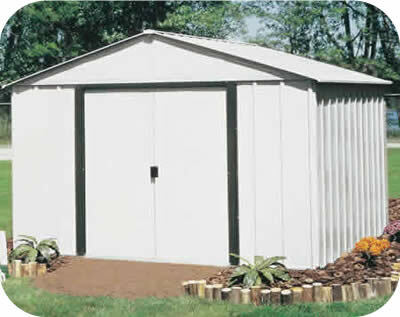 Position against any wall or as a self-standing small storage shed hed unit. Locking handles for storage security. 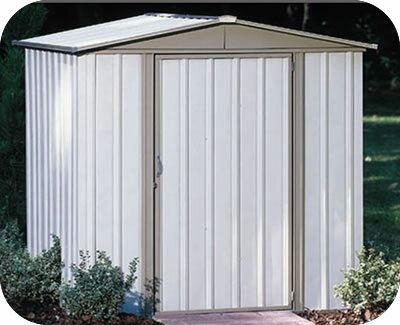 Interior Dimensions Width: 94 1/8" Depth: 35 3/16" Ht: 64 7/16"
Door Opening: Width: 50 1/4" Height: 59 3/4"